On this day in 2008, Harry Redknapp revealed David Nugent is going nowhere. The Pompey boss drew a line under incessant speculation over the striker’s future by insisting he is staying put at Fratton Park. Nugent had been strongly linked with a move to Stoke, Ipswich and Leicester at the time. Redknapp admitted earlier that month he was prepared to let his £6m hitman leave on loan. But he had since made an about turn and was happy to let the 22-year-old stay and fight for his place. Nugent was battling his way back from a frustrating period of injury. The England international had been hindered by hernia and groin problems and hadn’t appeared since the FA Cup win over Plymouth in the January of 2008. It had been a difficult first season for the striker since his summer move from Preston. Nugent had struggled to live up to his price tag and found chances hard to come by. But with the player close to full fitness again, Redknapp wanted to see him stay on and prove himself. Speaking to The News at the time, Redknapp said: ‘David is staying around now. He’s not going anywhere. ‘We need him fit and playing. ‘Leaving was a consideration the other week but it’s not the case now. Looking at it, it’s not worth it. 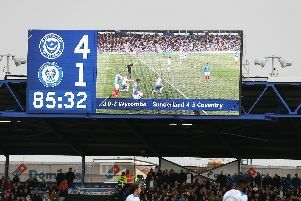 Portsmouth 4 Rochdale 1: they said what? ‘He hasn’t played yet. He needs to get some games under his belt. ‘But we’ve got a reserve game against Arsenal on Wednesday and we’ll get a game into him there.